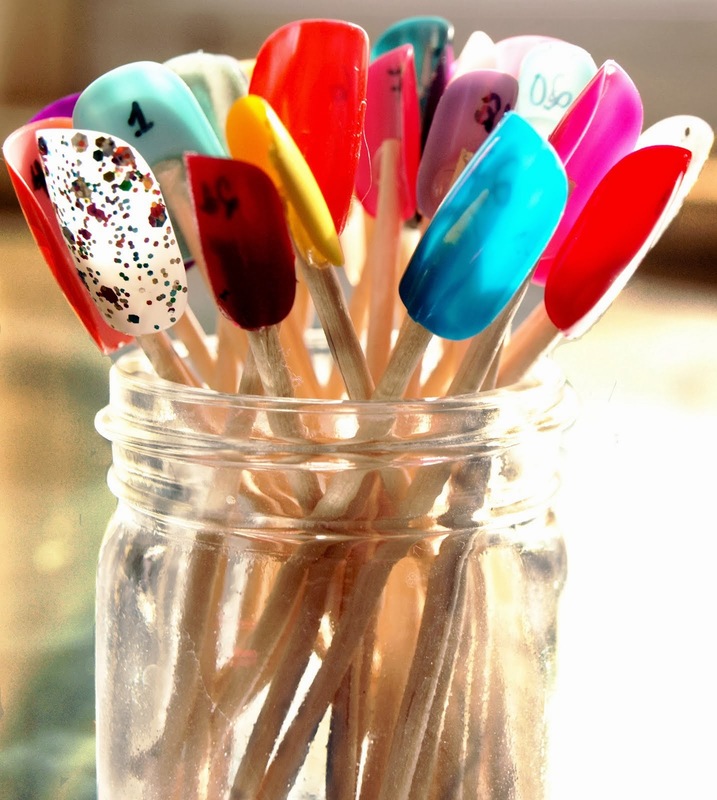 Hello Nail Polish lovers and all my glitzy fans out there! 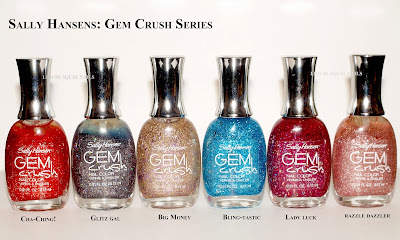 You will surely enjoy today's Nail swatch featuring the lovely Sally Hansen: Gem Crush Series Polish. You can find Sally Hansen nail polish in almost any local drugstore, chain store etc. I have seen these polishes at my local CVS for up to $9 bucks a bottle!!! YIKES! No thanks. I purchased my polishes in an EBAY (oh how i love you Ebay) Sally Hanson auction lot that came with various series i.e Extreme Wear, Complete Salon Manicure,(check out my Simply Divine post for swatch on that) Insta dry, Sugar Coat and these GEM CRUSH babies you see below. WHICH ONE IS YOUR ABSOLUTE MUST TRY? Oh look at all these sparkles!!! Do they make you as happy as they do me? I love em all in their own unique way. These polishes are pretty awesome glitters in a clear polish base and are very opaque after just 2 coats. 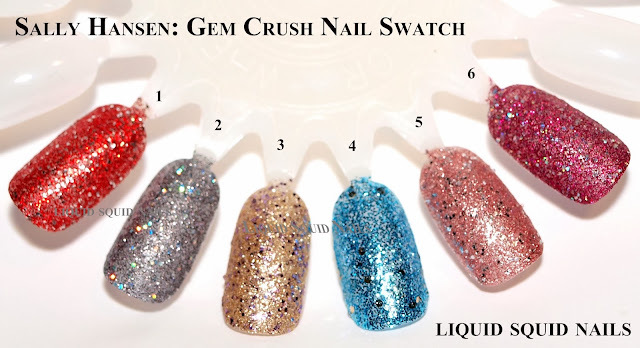 The nail swatch pictures above are the polishes themselves, 2 coats, no base color, and as you see they are the perfect glitters to wear alone. No need to pair them up with anything, except maybe a nice handbag and a night on the town.